We finally got some finalised bits in a release this week. So here is a bit of a guide to get you started. 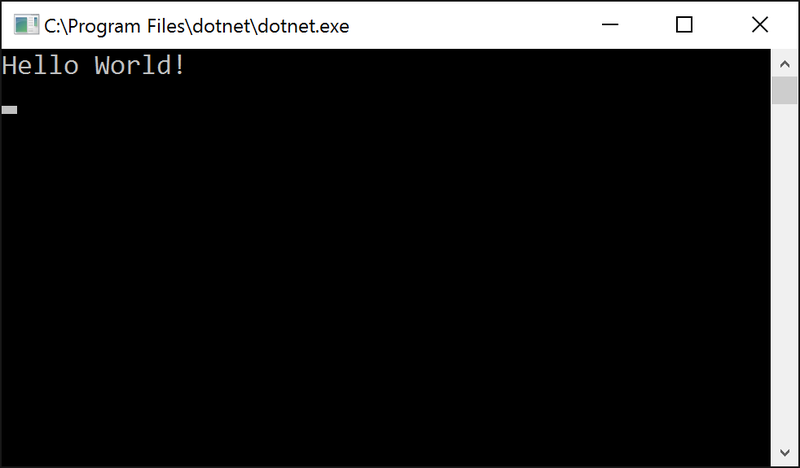 I will (probably) be only showing instructions from on Windows, but all dotnet CLI instructions should be cross platform. This URL is fun spoken rather than written, dot.net (dot dot net). This is where you go to get started. Before you start, please remove any previous versions of .NET Core from your system by using Add/Remove programs. Also, please verify that you have all of the Windows dependencies installed. I also had to uninstall something named along the lines of "dotnet CLI dev" or "Microsoft Dotnet CLI for Windows" or something like that. Once all that is sorted you should be good to go. Created new C# project in C:\dev\temp\MyNewApp. First, we need to restore. This is NuGet restore and version locking of the project.json. The project.lock.json file produced is similar to the RubyGem or npm lockfile concept. log  : Restore completed in 2520ms. Now we run a build. And finally, we run the application. That's it. We have a fully executable .Net Core Application. Let's repeat with Visual Studio now. 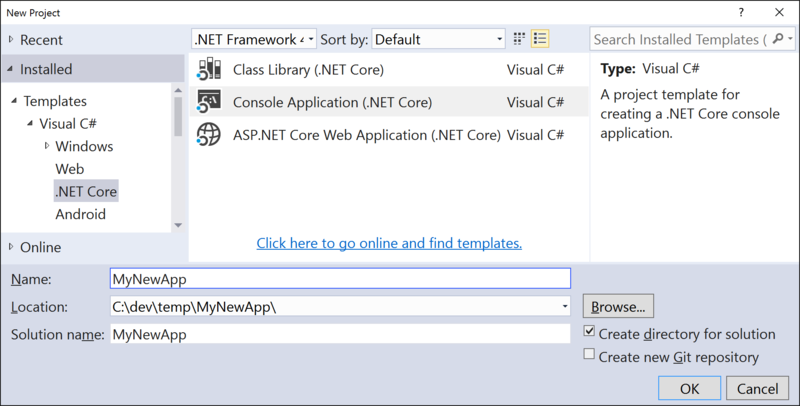 Choose File-> New Project and Select the Console Application (.Net Core) template from under the new .Net Core C# category. It is worth noting that the tooling is still not finalised, and that the xproj and msbuild tooling is likely to continue to change, and will the other csproj folders and the project.json file things. Now If we build and run, we should see our Hello World app run. (Press any key to exit). 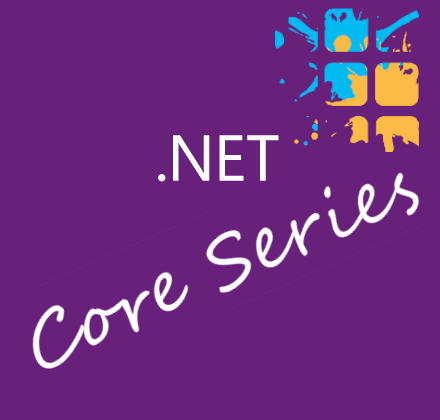 Next time we will take a deeper look into the project.json file and start to experiment on ways to build more complex applications with the new .Net Core.